In the pages for the Dead Rinks in the US and the International, not all rinks are listed as we grow slowly daily. I am averaging 2 rinks per day being added. There are thousands of rinks. 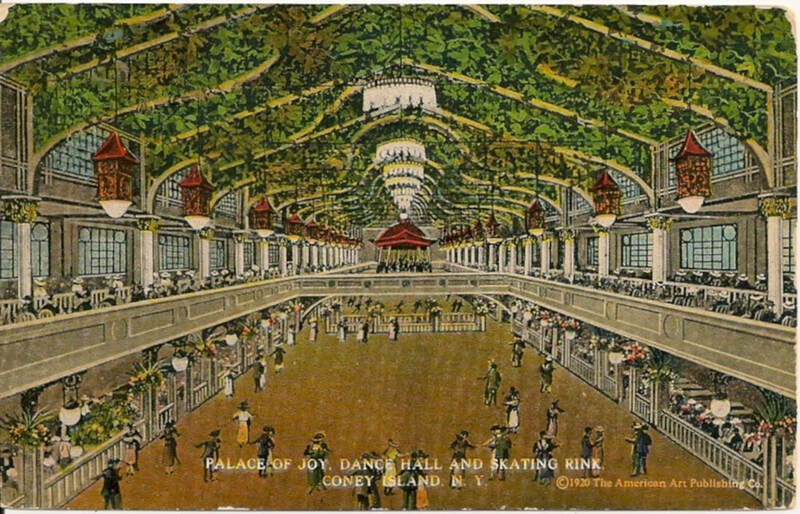 If you have pictures, and information about the rinks including the rink size, type of floor, when it was opened, closed, and what was rebooted into. The before, the after photos, and many other informations. It will be added. Any mistakes, I apologized and will repair my mistakes with your correct information. See the rinks you been to but no pictures? And you have them? Please by all means send it to me and I will add it! Thank you! You will be credited. This is purely for educational purposes as this is an online museum. Photographs and articles are appreciated and can be added if you desire to provide. For now, it is in in grid format on PDF and MS Word. I apologize if you are not happy not seeing the photos of your favorite rink. Due to the light of an issue we had to improvise our design. I prefer the original design that each rink has a profile of photographs, and description and commentary. We apologize for any inconviences we may have caused. For now, you will have to see photographs elsewhere on the net and let me know if a website is down or out (no website on the net). Since this site does not have that common underlined blue links to click. Many are already linked and you just have to hover it with your mouse. If you are using your phone, click it to see if there is a link. Any red fonts, there are no information as I have done research some certain rinks. Some pages like you see below, if it is red, they are not clickable. No pages yet. What I am doing first is in the US, then I will do the international. When you click one of those pages, you will see that there are links on those pages to open another page. Each name of rink has its own page (except for those in red because of no information). Enjoy! News about rinks, closures, new rinks opened, and reunions as well as conferences/trade shows! 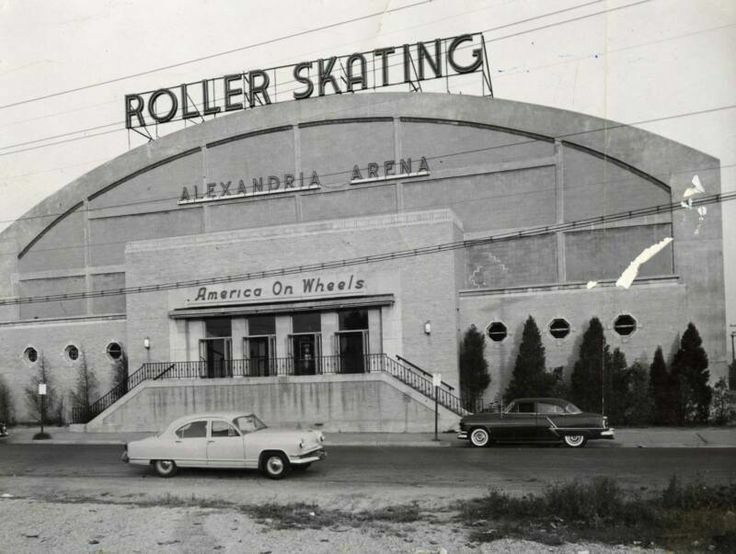 Read and see the history of Roller Skating, rinks, and the skates itself. All of your favorite rinks you attended. Rinks outside of North America. Terminology, materials for the rink, Appearances, etc. You are welcomed to write to me to add your favorite Dead Rink and you must include at least include photos of at least one exterior and at least one of the rink interior when there are no skaters skating at that moment. but if not, please do include with skaters, plus the name of the rink and the history you know it and if any links to the news article online regarding to that rink or rinks closure and even any opening. Also state where the rink was such as an address so that fans like you can go visit where such rinks stood. Please email them to falsocreativity@aol.com and I will add your rinks with the subject, "DEAD RINK" IN CAPS! Then I can spot your email and I will add your rink. Like malls and department stores, the rinks are disappearing too. Rinks you remembered from the old days... Like in Syracuse, New York area, I remembered Sports-O-Rama (pictured on top of this page), Empire Skates East, Empire Skates West, Baldwinsville Bees Skating Rink, the rebooted Empire Skates West, Camillus Roller Rink, Westvale Roller Rink, Green Hills Roller Rink, Central Square Roller Rink, Radisson Roller Rink, and of course, a roller rink in Memphis, NY (original and rebooted in 1990s). Also Reva Rollerdrome in Auburn, New York. Let's have reunions, parties, and chat together about our memories. But also have skating parties! Also keep in touch. And see what the future holds for new rinks. News.. such as the new rinks in Brooklyn, Long Island, New York. © 2019 by Dead-Rinks.weebly.com All Rights Reserved.